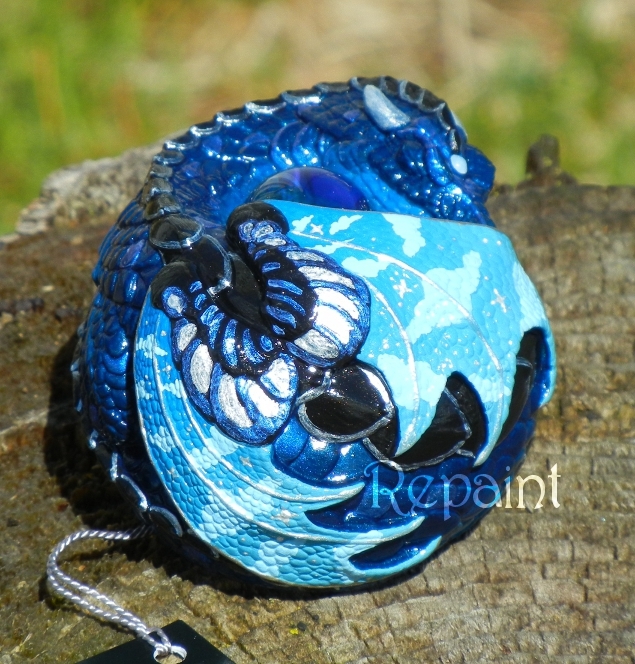 This Curled Dragon has been repainted in various blues and teals, and given a sky pattern on his wings. 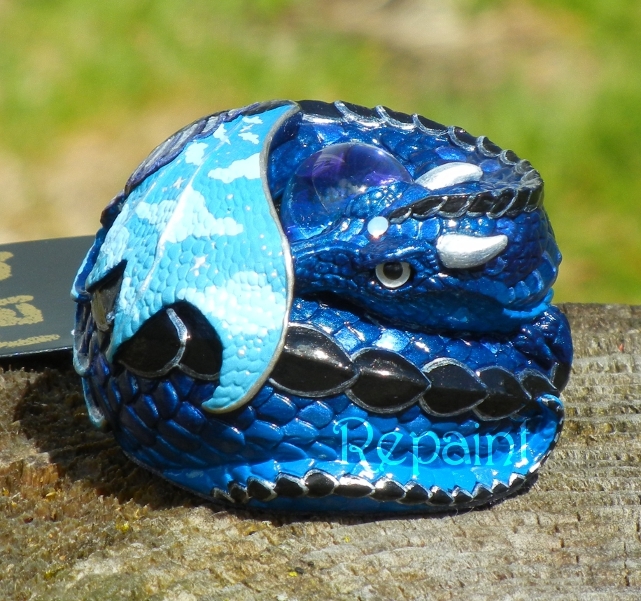 This fellow was a special repaint, a gift for a friend. He has been watermarked out of respect for Windstone Editions. 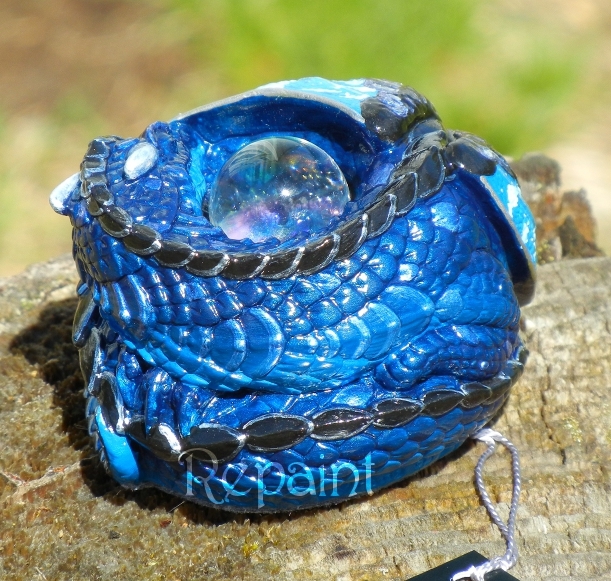 Windstone discourages repaints! I still sometimes do them.